Well, you have many more to do, then. The quests may not show up immediately after completing all the available ones, so you'll have to wait for some to appear. By the way, I wasn't pinged since you typed my username incorrectly (You used a lowercase L instead of a lowercase I.). Weird bug happening with 'dragons fed' total. This is an amazing update!! It may allow me to get more into the game again, as I don't have as much time anymore as I did before and even just feeding all my dragons has become quite a task. Thank you so much staff for your long and hard work on this! I love this update but I really miss the little squirrels that denoted a dragon had a familiar. Don't really like the hearts instead..
Look at all them FANCY BUTTONS! also the item turn in task like mini game is such a cute and immersive way to do that! 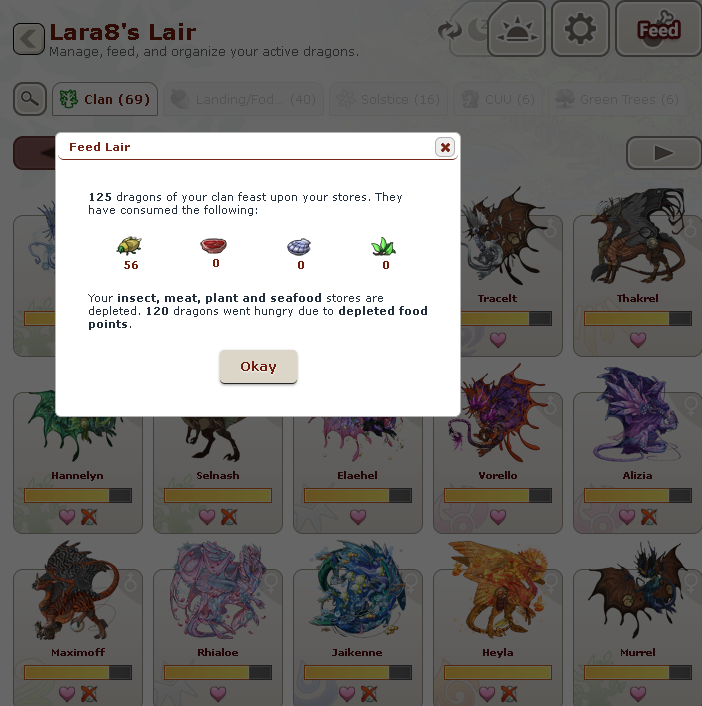 I'm strictly using a PC and I have not been able to re-arrange my dragons. I've tried but can't figure out what I'm doing wrong. I just got a new Coatl and want it sitting with my other coatl's and still it sits as the last pet. I wish there was an option to choose whether you want to use the new system or stick with the old.